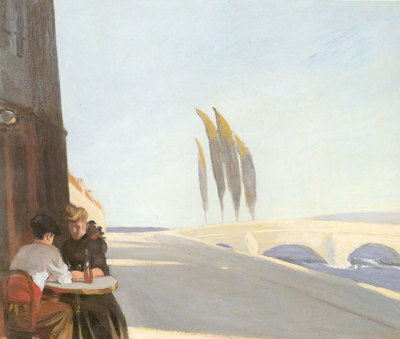 My fascination with Edward Hopper began when I read a blogpost on Alberti's Window comparing Hopper's paintings to Gustave Caillebotte's, reasoning that they both worked within the themes of isolation and loneliness. I got a chance to compare the two artist's work on my trip to Chicago and the argument seemed feasible. 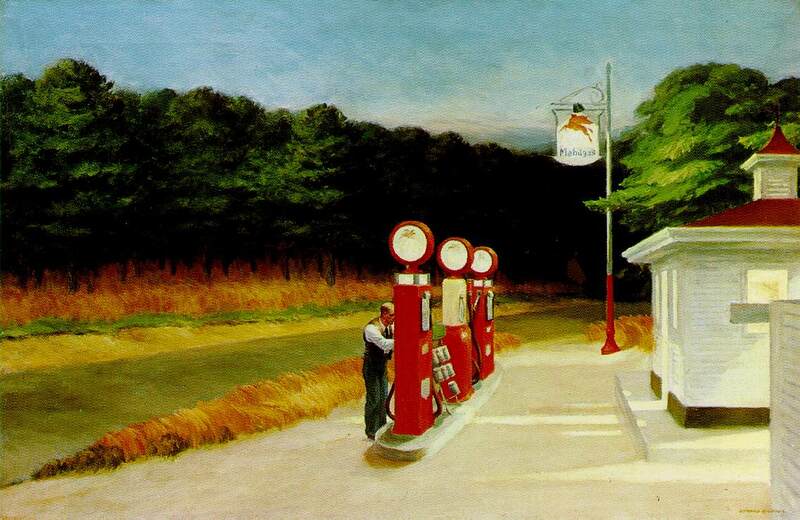 Both artists were painting the urban landscape and the alienating nature of modernization. 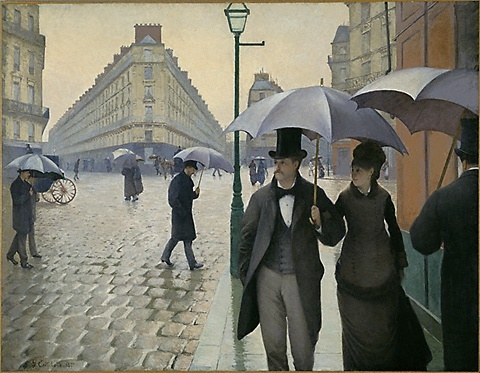 When considering their paintings of the city, in both instances, a burgeoning city is the backdrop to individuals that are trying to exist within the new norms of modern life. There was an exhibit at the Whitney Museum in New York, that caught my attention and I finally got a chance to see it before it closed on Sunday. 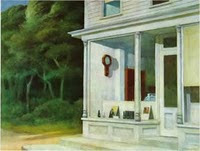 Here, I was able garner what set Hopper apart from any other painter I knew. 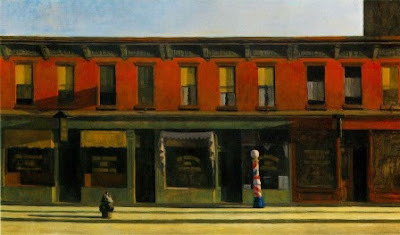 Being one of the quintessential American icons, his paintings seems to captures this country's soul. 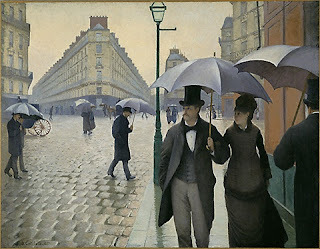 When I stood before this painting though I felt like I was closer to the soul of the artist than the city. 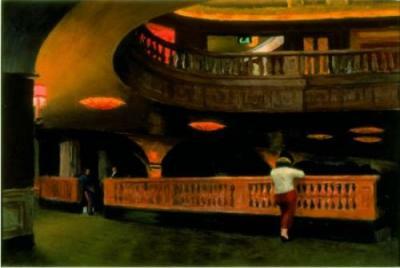 It seemed like the visualization of one of my own experiences, that of being an outsider in a foreign land. It's nice but you can not be a part of it, only observe it. When I stood before this painting, I finally realized what seemed so familiar about Hopper's paintings, it was a landscape I knew really well. 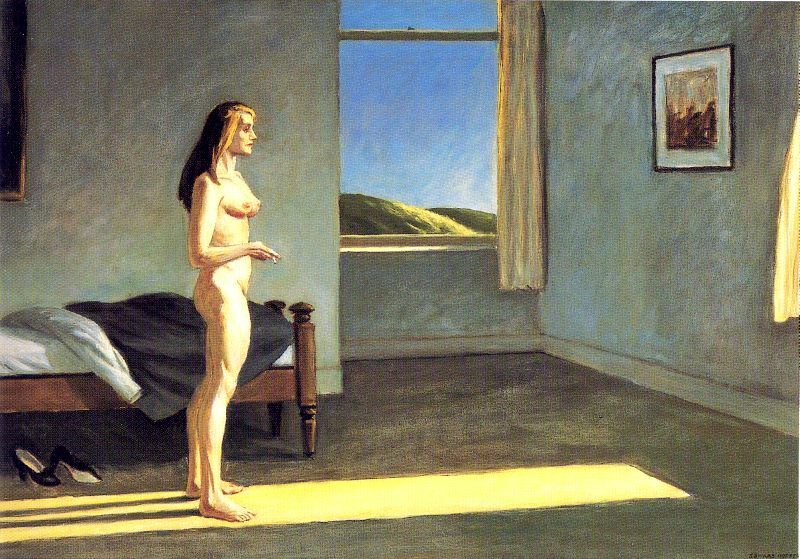 It was the picture of the bone-chilling loneliness one can only feel in America, where there are beautiful vistas outside of your window, in front of your door but no sign of human life. 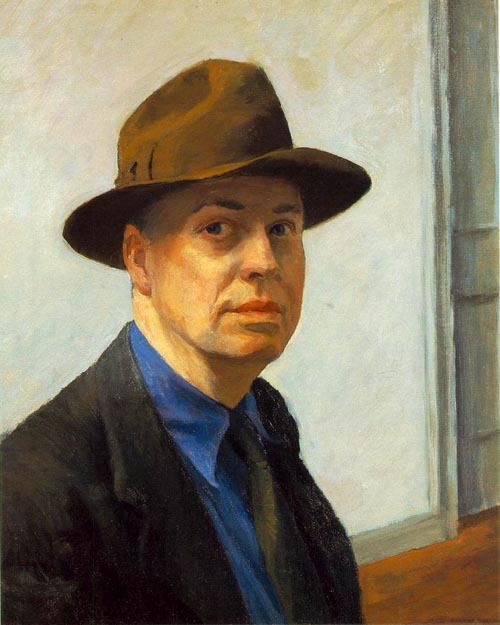 He had painted my America... For years, even as I refused to give in to the feeling of isolation, I was always going in search of the sun, first thing in the morning, to warm my soul. Great post! Thanks for including a link to my blog, too. 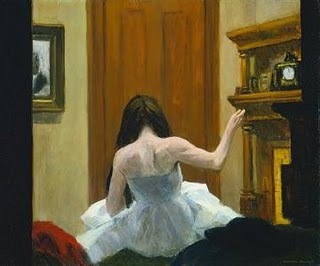 I really like Hopper's work, and some of these images I was not familiar with beforehand. I agree with you: Hopper's paintings embody the wide expanse and isolation that can best be experienced in America. Wow, I love his work, they really make you feel what your are seeing.